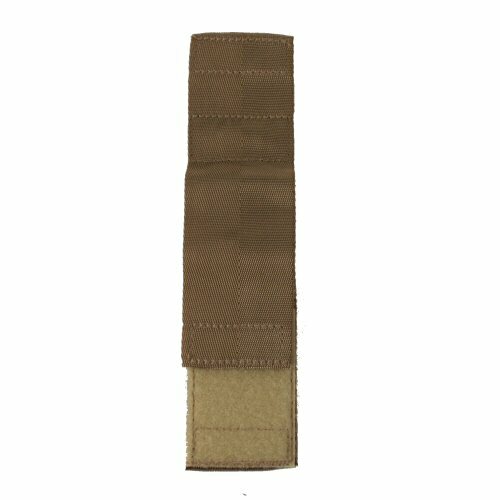 The tan commando watch strap is made from 1 1/4 inch (3cm) nylon webbing. 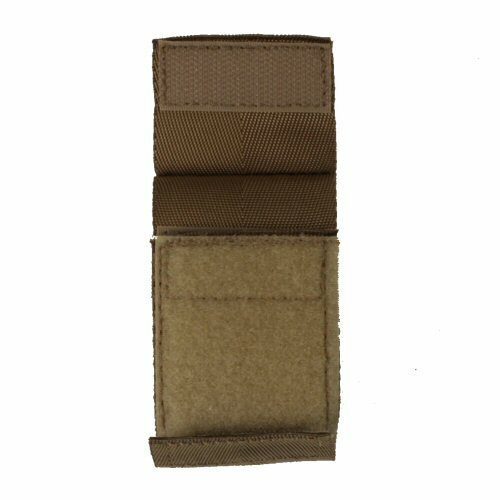 The arm band webbing is the same type as used in heavy duty harnesses, and is high strength whilst remaining soft and flexible. The arm band wraps around the wrist and is held in place with double velcro, both inside and outside, for security. The watch is retained by a thread-through 20mm strap similar to the NATO thread through style. This has a small degree of stretch to enable the watch to remain secure but also be able to yield slightly when the wrist is flexed. 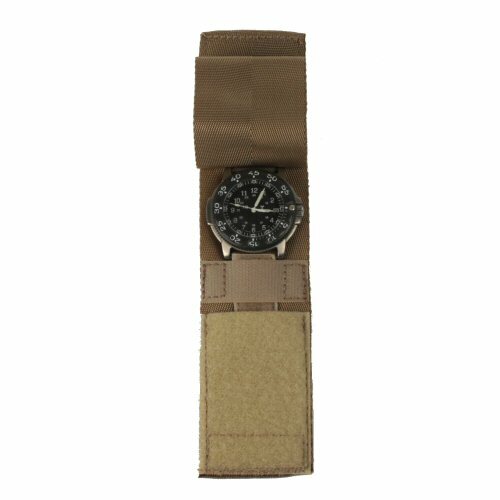 The thread through strap is finished with velcro and secures onto a velcro strap located toward the bottom of the watch face. 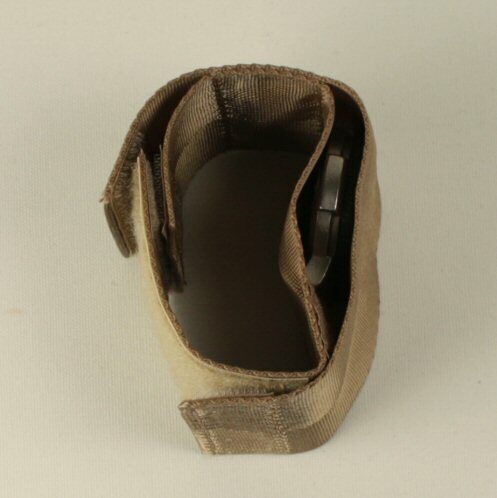 A web strap cover finishes off the watch strap, and this is secured over the face of the watch with velcro. This helps to protect the face and watch glass from scratches and bumps, but also helps to reduce glare or light emission from the watch if a self-luminous watch is being worn. Picture shows the strap fitted with a Traser H3 titanium watch for illustration purposes only. The watch is not included in the price. Sizes available are Girl (S), Boy (M), Wrist Warrior (L). Available options are: S , M , L .
The strap with the cover over the watch face. Detailed view of the double velcro to secure the watch onto the arm. A side view showing the profile of the strap, the wrist retention and the watch face with cover.